Most businesses nowadays are using social media. It is an amazing and free tool and it is understandable that the number of companies which are recognising its qualities increases every single day. However, social media could be quite tricky as well, because one of the major problems related to it is the fact it is uncontrollable. In this post, I will be discussing what a social media crisis is and how it can be foreseen and avoided or in case it hits, how to effectively respond to it. As discussed in my previous blogs, the most important thing for companies is to be prepared for a crisis. If you don’t have a crisis response plan in hand, you’d better go back to work and create one. Of course, as mentioned earlier, social media is uncontrollable and therefore you cannot know where exactly the crisis will come from, but when you have a few possible crisis response scenarios, this should make things easier. The first thing we need to clarify is what a social media crisis is and how to distinguish it from a social media issue. An issue is not an existing problem but the chance there might be one, if not handled well. This could be a negative comment, a rogue tweet, a wrong hashtag etc. On the other hand, a crisis is a much more serious thing. It is an existing problem which is affecting a company’s reputation in a long-term. However, an issue can easily develop into a crisis, so be careful! 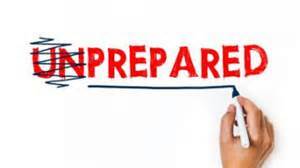 1) Have a crisis plan in hand- This is the thing I’ve been talking about in all my posts and research papers- “be prepared”- because most crises that affect companies in an extremely negative way are those, companies themselves have not been prepared for. You cannot stop a crisis once it happens, but you can minimise the consequences of it. 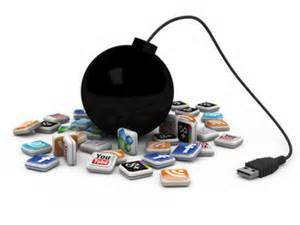 2) Train your people- Having social media crisis simulations from time to time doesn’t hurt anyone, it could only help. Knowing what to expect and how to react to is always a good way to start. And remember, even if the crisis happens, don’t panic! 3) Identify potential risk areas- Do your research! Get to know your weaknesses! Work on crisis response messages that could be standardised and applied to most crisis cases. Not so complicated, is it? If you work on these three simple tips and develop them, come up with your own etc. you will have made the first step in a crisis response cycle. And even if a crisis hits despite your efforts to avoid it, you will be now prepared to handle it. 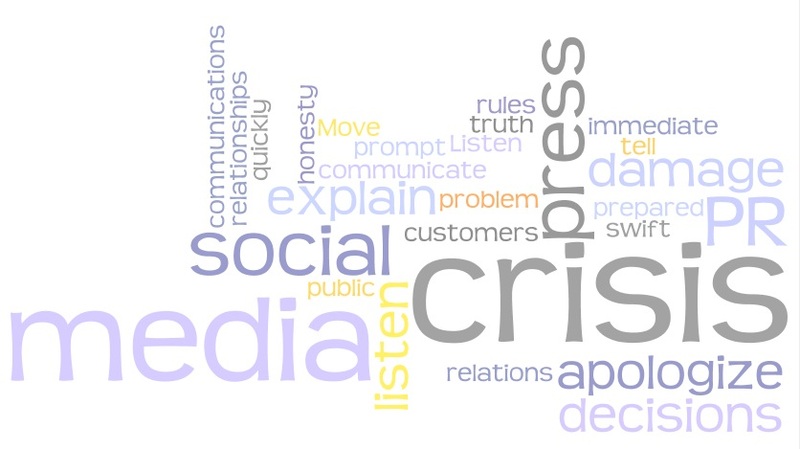 In my next post I will be talking about the next step in the crisis response cycle- how to handle a social media crisis. In the meantime, please feel free to share your opinion on this topic and give any suggestions on how to avoid a social media crisis. Social media is now appropriate for all sorts of communication- B2C, B2B, H2H, P2P etc. but is it any good for crisis communication? The answer is yes. Social media has initiated a change in the way crisis communication functions nowadays. The influence it has is highlighted in the following ways: speed, engagement, control of the message, interactivity, authenticity, visibility & transparency, crisis facilitation etc. The crisis life cycle has three stages- pre-crisis, crisis and post-crisis. The pre-crisis stage should normally be planning of the worst case scenario. In this stage, social media could be involved as a communication tool with some of the organisation’s stakeholder groups. Depending on the type of organisation and the type of the crisis, these could be affected customers, victims and the public in general. What is important for the crisis managers to recognise, is the right messages they need to address to their publics and the type of social platforms that would be most appropriate to use. The crisis phase occurs when the actual crisis hits. I have actually participated in two crisis simulations, both of which were handled using social media. I had to manage one of the crisis communication teams and guide them throughout the whole period of the crisis. As mentioned earlier, social media is a perfect communication tool for the organisation in crisis, especially with the affected parties. In our case the organisation was a university and the crisis itself was a malware bug that had hit the system, deleting all files of a large group of students, meaning they would not have been able to graduate. So part of these students went on Facebook and Twitter, posting updates and comments, demanding answers to these rumours (nothing regarding the crisis was officially confirmed). So my team had to reply to the students in a polite way, giving them the information they were demanding, but not saying too much at the same time. When talking to your target audience on social media, the tone of voice is the most important thing. Another thing of great importance is to make sure the message you are communicating is the most appropriate one. When a crisis hits, the first thing the affected parties will do is to panic. But you as a crisis communicator must not panic! If you act with composure, you will be able to calm your target audience down, at least to some extent. Why social media is very useful in a time of crisis is because you are able to communicate your message directly to your target audience without the need of an intermediary, which in 99,9% of the cases would be the traditional media (which sometimes results in the so called “broken phone”). Of course, the media will give its point of view (which in most cases is at the expense of the organisation in crisis- e.g. BP Gulf of Mexico crisis), but through social media, you have given yours as well. The third stage of the crisis life cycle – post-crisis – occurs when/if the organisation survives the crisis. At this stage social media is also very useful because the audience wants to see, first of all, what lessons the organisation has learnt from the crisis and second of all, what steps it takes to prevent another. Many crisis managers, especially those of smaller organisations, still underestimate the importance of social media, not recognising the need of two-way communication and engagement with their target audiences. However, as the popularity of social media is growing, it has the potential of becoming an integral part of crisis communication, providing organisations with the opportunity to “do things right”.